Our designers are constantly evolving according to market and customer needs. 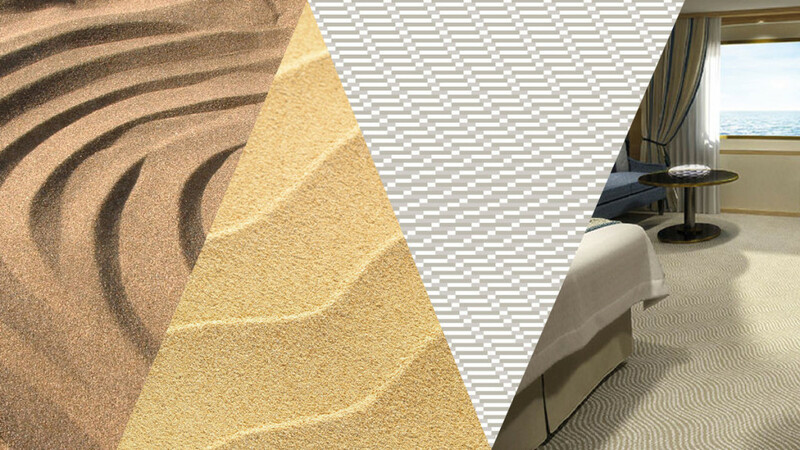 Always up-to-date with the latest trends in interior design, decoration and fashion, they go to any place in the world in order to work first-hand with the most prestigious firms of interior design and architecture in the design of their carpets and rugs. At the same time our design catalogues, edited on a regular basis, are an important and valuable tool at the disposal of all our customers for their use as a source of inspiration and gathering of ideas. The Far and mysterious East, the geometrical simplicity of nature, tatoos world…. Fresh and renewed concepts that are used as pillars for the development of distinguished, luxurious and contemporary atmospheres. Hyatt Regency Nice: the design of the halls of Palais de la Mediterranée is inspired by the gentle sea waves that hit the French Riviera. 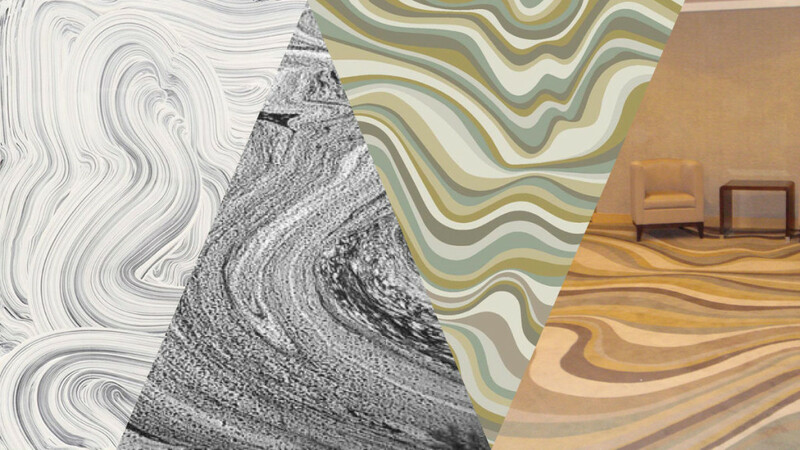 The original image provided by the customer resembled designs made with the marbled paper technique. It was an organic image with many waves and soft natural shades that Alarwool designers worked on, together with Jaime Beriestain’s team, until the more contemporary and final design simpler path. Windstar Cruises: The designs of the passenger cabins of all cruise ships in the Windstar fleet are inspired by the gentle waves drawn on the sand of the deserts and beaches by the wind. Even the color chosen for the carpets is a soft beige tone that brings brightness to the room. Park Hyatt Hotel Vienna: The Park Hyatt Hotel in Vienna is located in an emblematic building owned by a bank. 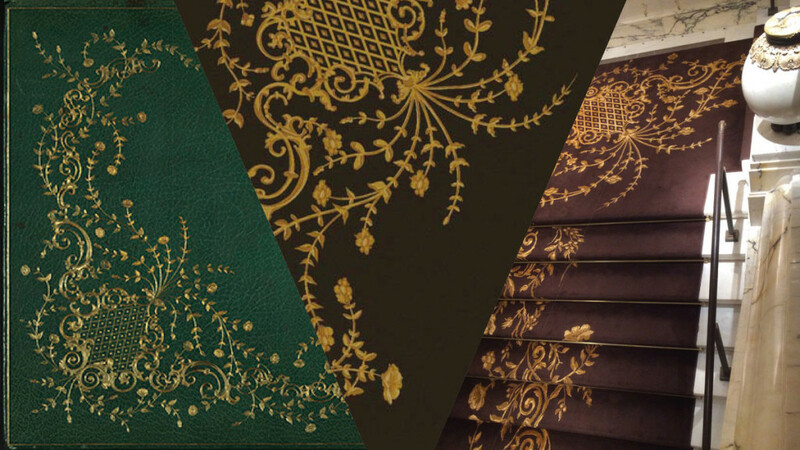 For its endless and elegant staircases, a very special design inspired by the ornamental artwork of an ancient book was made. This complex and delicate design was developed from the hand of the Dutch FG Stijl and it covers today’s impressive marble staircases of the hotel. Sofitel Le Grand Ducal Hotel: The bar of the prestigious Le Grand Ducal hotel in Luxembourg was designed in 2014 by French architect Philippe Capron. The space is an incredibly contemporary explosion of color and modernity that does not go unnoticed to anyone. 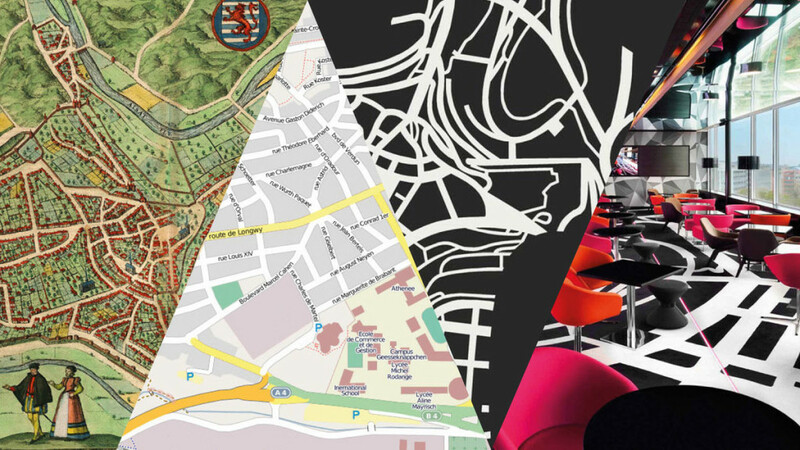 For the design of the carpet an image of famous “Google maps” itself was used; that is, a plan which corresponds to an area of ​​the city itself.